It is with deep and profound sadness that we announce the death of Maurice Leslie Ouimet, or â€œMoâ€ as he preferred to be called, soft-hearted and hardworking provider, devout Catholic and proud and dedicated Knight of Columbus 4th degree and accomplished deliverer of one liners, died on Saturday, August 12, 2017 at the age of 79. The friends in his life were more numerous than he knew. He preferred to surround himself with quick-witted women and caring, good men; a great sense of humor and honesty were prerequisites. He married the love of his life Bibiane St. Cyr, a beautiful French-Canadian girl, almost 60 years ago, with whom he had two daughters Suzanne LaPointe (Adrian) of Tucson, Arizona and Michelle Ouimet (Glenn Hilley) of Orlando, Florida and a treasured son and the apple of his eye Marc Ouimet (Colleen) of Alexandria, Minnesota. Deeply committed to his family, he taught them to fish, tell stories, to love nature, work with their hands, appreciate history, to read a map, to just be thankful and so much more. He was so proud of their varied talents and accomplishments and somehow never understood and always underestimated how much of him is present in them. Also, Mo was predeceased by three brothers Hubert, Howard and Raymond and his sister Marquise and survived by his brother Eddie and numerous nieces and nephews. He had a life-long love affair with his wifeâ€™s homecooked meals and ice-cold beer after a hard dayâ€™s work. He excelled at home improvement projects of all kinds, living within his means, writing and reciting clever rhymes and stories, feeding the birds and thwarting the squirrels, counting cookies made by his wife and daughters and fish caught by he and his son, keeping and sharing stories of days gone by and took the greatest satisfaction in doing for others. He took great pleasure in his only grandchild Forrest Dupree (25) of Menomonie, Wisconsin for whom he was known to put anything on his head or ears in an effort to get and keep his active attention. Mo was tremendously interested in historical events and places and especially enjoyed a wonderful overseas trip to commemorate the 60th anniversary of WWII on the beaches of Normandy while accompanying his wife to visit her fatherâ€™s gravesite in Bergen Op Zoom Canadian War Cemetery in Holland. He had so many one liners and little songs and verses, some dating back to his years working for the St. Lawrence Seaway, that over the years they became his trademark to be repeated by many across the country, but his son Marc is always the best at their delivery. He also took great pride in his 40 years of service at Reynolds Metals Aluminum Company where he said an honest dayâ€™s work never hurt anyone. 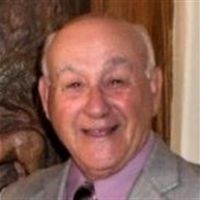 Throughout his life, Mo was a passionate volunteer with the Knights of Columbus first with Knights of Columbus St. Lawrence Council 1141 in Massena, New York followed by selfless service with Saint Pius X Council 10762 of Tucson, Arizona where he gave so much to so many. While he wasnâ€™t particularly interested in fashion, he enjoyed his wife and daughtersâ€™ sense of style and loved taking them to Sunday Mass and out to dinner where he could show each of them off. He would tell you that he was a simple man, and his family would tell you that, that could not be further from the truth. For Mo was a deep thinker, a skilled craftsman and a gifted singer. He immersed himself in reading, particularly anything written by Louis Lâ€™amour or that detailed events surrounding WWII. Mo traveled with his wife, family and friends to some beautiful destinations over the years including memory-filled trips to Hawaii, Alaska, Mexico and throughout the lower 48 but his favorite travel destinations were probably Coles Creek campground and later his camp at Shady City both outside of Massena, New York. While he took some ribbing over the years for recording his experiences in journals, on cassette tapes and on his shop or garage calendar, his family secretly adored this endearing trait. In the end, his family honored his wishes to die at home surrounded by his beloved family following a swift yet brutal battle lost to cancer. On the day of his death, his wife and children surrounded his bedside and together did the rosary (of which he would have been especially proud) and played a wide variety of his favorite hymns and songs to guide him in his crossing. His life will be celebrated at Saint Pius X Catholic Church at 10:00 am on Saturday, August 19 in Tucson and at a later date this fall at St. Maryâ€™s Catholic Church in Massena, New York. In lieu of flowers, the family asks that you make a donation to TMC Hospice/Peppiâ€™s House or a Hospice of your choice for they are refuge in the cancer storm or other charity of your choice. Finally, the family asks that you honor Mo by being honest, saying a prayer, share a home cooked meal and tell a good story.